"50 Essays: A Portable Anthology" directly addresses students' and instructors' concerns that composition readers are too expensive and too large. With a net price of $19.50, less than half the size and price of comparable readers, "50 Essays" meets the needs of a wide variety of classrooms. The carefully chosen table of contents presents enough familiarity to reassure instructors, enough novelty to keep things interesting, and enough variety to accommodate many different teaching needs. The editorial apparatus has been designed to support that variety of needs without being intrusive. 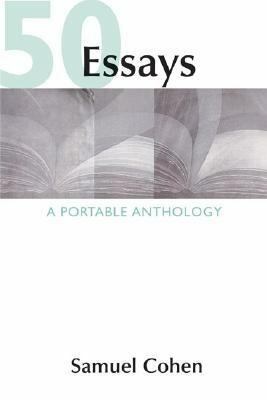 In its second edition, "50 Essays" continues to offer selections that instructors love to teach, with even more flexibility and more support for academic writing.Cohen is the author of '50 Essays A Portable Anthology', published 2003 under ISBN 9780312412050 and ISBN 0312412053.